Last year I created a spreadsheet calculator to know how much tax to pay. 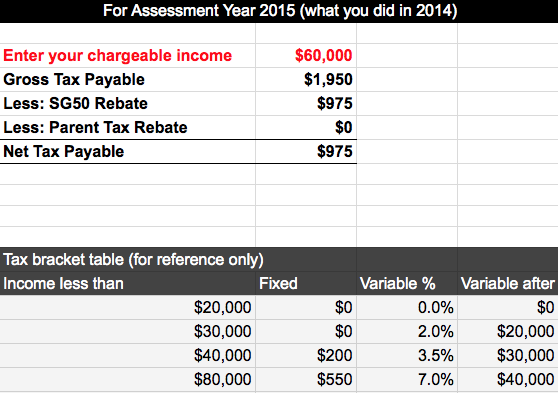 This year, with SG50 Jubilee tax rebate, I edited the spreadsheet to cater for Assessment Year 2015. To use, make a copy of this Google Spreadsheet.